This volume speaks about the quest for the idea and image of a Universal Being which can be all things to all beings. It moves afar, looking for parallels, precedents and progenies, in Asia and the world, of the unique, hydra-limbed, massive 5th century ad Rudra Siva image found at Tala in Chattisgarh in India in 1987. It explores the immense vitality of its presence, simultaneity, ambiguity and profundity of its denotative and connotative meaning. Based on excavations, explorations, conservation and restoration, led by the author, the volume separates chaff from grain by a penetrating historiographic investigation; conceptually reconstructs dismembered monuments and sites on archaeological evidence; digs deep into epigraphic, philosophical, religious, botanical and artistic texts to recover the polyvalent script of the art; substantiates this script ethnoarchaeologically by retrieving, from oral evidence and ritual practices, corollary tribal imagery and monastic rites; rebuilds the composite stylistic movement in architecture and sculpture, in a rigorous, comparative analysis of the spatial temporal context of unities and variations; and, opens up new vistas in Indian Art History, by using cross-disciplinary methods, and, effecting a fine-tuned fusion of Indian and Western interpretative horizons. 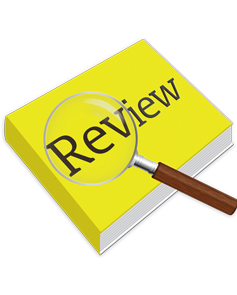 The volume provides, in 687 illustrations and maps, extensive notes and references, glossary and index, a close view of the large ground traversed by Dr. Chakravarty. It corrects the amnesia and aphasia, loss of memory and speech, about an eternal flux of being and becoming, of human and non-human communities, dramatically staged in the theatre of the universe. The author's fascinating enterprise brings to light a new and neglected school of art in Daksina Kosala-Cakrakotya-Vidarbha-Kalinga region, created in the deepest and poorest recesses of hilly and forested tribal tracts of India. The daring innovation, experimental ardour, fervid curiosity, pent-up energy and ardent humanism of the art remain an example for succeeding generations and explode the notion of its primitive, retrograde nature, nursed earlier. Developments in Bastar (5th to 7th century ad): Growing Approximation to Southern Styles. Dr. Kalyan Kumar Chakravarty, IAS (retired in the rank of Secretary, Govt. of India), M.A. (Kolkata), M.P.A. (Harvard), Ph.D., Fine Arts (Harvard), is President, People's Council of Education, Allahabad and Distinguished Professor, Centre for Knowledge Societies, Centurion University of Technology and Management, Paralakhemundi, Odisha. Dr. Chakravarty has been Chairman, Lalit Kala Akademi; Director General, National Museum; Member Secretary, Indira Gandhi National Centre for Arts (IGNCA), New Delhi; Chairman, National Screening and Evaluation Committee, Archaeological Survey of India (ASI); Director, National Museum of Mankind (IGRMS), Bhopal; and Chancellor, National University of Educational Planning and Administration (NUEPA). He has headed the Delhi Institute of Heritage Research and Management (DIHRM) as Vice Chairman. He has also chaired the Bhasha Trust, Baroda. His publications include exhibition catalogues, edited journals on Art, books and articles on Family, Tribal Identity, Indigeneity, Education, Rock Art, Folk and Tribal Art, Khajuraho, Gwalior Fort, Orccha, Bodhgaya, Ujjayini, Vidisha, New Museology, Archaeology, Indology and Sanskritic traditions. Dr. Chakravarty has reinvented cognitive categories; nurtured relations among cultures, disciplines and arts; strategised culture specific governance and diplomacy; restored vanishing links of cultural, linguistic, biological diversity; regenerated community habitats as living museums; and rebuilt crumbling bridges between culture and development. He is known for fusing theory and practice in promoting cultural survival, environmental self-determination and sustainable knowledge systems of marginalized communities. 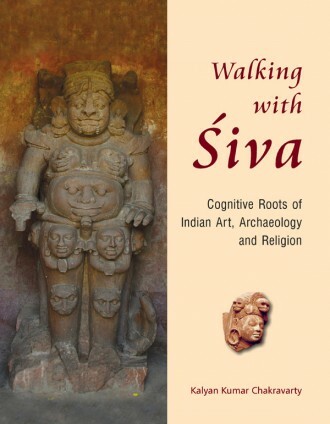 write a review (WALKING WITH SIVA: Cognitive...) Please Login!